SEAT has succeeded in lowering its water consumption per car produced by 31% in the past 8 years and is moving towards the goal of achieving 38% by 2025. Overall consumption yearly is equal to 470 Olympic swimming pools! The paint workshop and the rain test booth are the areas that consume the most water and where most progress made. Reducing consumption, recycling and reuse are the pillars for minimising the impact on the water cycle. Martorell, 22/03/2019. – Energy-efficient appliances, automatic sprinkler systems, low flow taps in kitchens and bathrooms… Raising awareness about wasting water has gained ground in people’s homes, but what about in industry? The efforts made by SEAT highlight how much progress made on this topic, with the commitment to preserving ecosystems as a basic cornerstone of its environmental strategy. Water consumption at the Martorell factory amounted to around 1,170,000 m3 in 2018. That’s the equivalent of 470 Olympic swimming pools. This figure has gone down, however, in the past 8 years thanks to the company’s environmental programmes. Thereby a clear improvement when breaking down consumption per car. That’s from 3.54 m3 in 2010 to 2.46 m3 last year; close to 31% less. An ocean of paint: The paint workshop is the facility that consumes the most water, nearly half of the total. 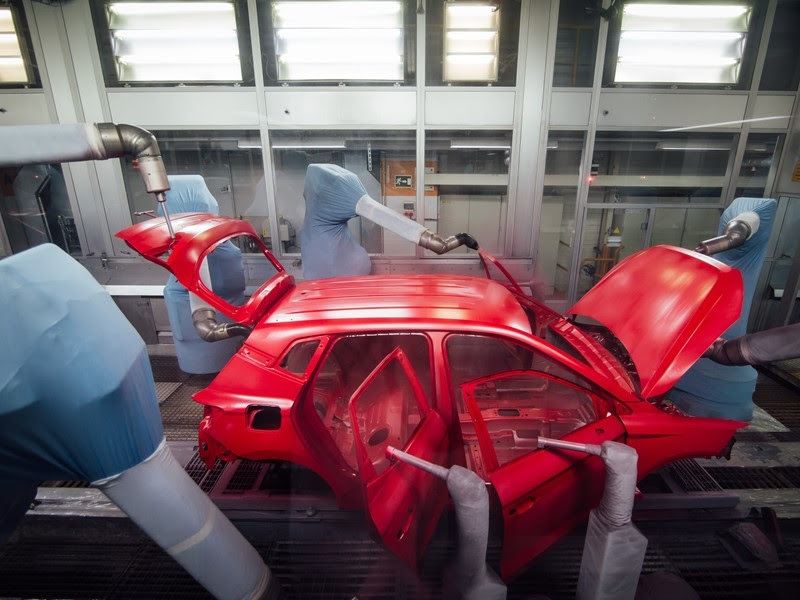 Chassis surface treatments, water wash booths prior to painting and the final paint applications on cars are the main areas that require large amounts of water. Monsoon rain: Another area that generates a high level of consumption is the rain test. All which used to check the water-tightness of the vehicles by pouring down 150 litres of water per square metre on a six-minute run. This process also uses a closed circuit. The future is now: A lot of progress made at SEAT, but there is still a long way to go. In order to drastically reduce the impact on the water cycle, new, more efficient processes needed to lower the amount of water consumed, recycle and reuse the water used in a single process, and return it to the ecosystem in best condition. The goal is to reduce consumption by 38% by 2025. To this effect, several projects implemented such as the condensate recovery of water vapour in the air conditioning systems or the monitoring of cooling systems. In addition, weather condition forecasting systems implemented to programme the watering of green spaces. As well as And furthermore, pilot tests carried out with electrocoagulation, ultrafiltration and reverse osmosis systems to recycle an enormous amount of waste water.